For anyone looking to pack on some serious muscle mass, one of the top priorities will be to determine what the best bodybuilding workout to follow is. There are a wide range of different workouts available, so choosing the one that will suit your needs best is important. The real question is which one will work best for you and your starting point. Let’s cover the most common routines out there today and describe the category requirements so that you can make an informed decision on which program will suit you best. It’s also essential that you understand which factors contribute the most to gaining lean muscle mass. A program that utilizes these principles will often fare better than one that doesn’t. Let’s take a brief look at some of the more popular bodybuilding workout set-ups and identify the pros and cons of each. For this workout, perform each circuit three times. Then rest one minute in-between exercises. Make sure to rest two minutes in-between sets. 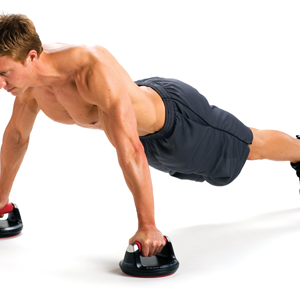 For this workout, complete three sets of each exercise with 60-90 seconds rest in-between sets. The drawback to this program is that it’s one that a beginner likely shouldn’t jump into as it will be intense and could lead to overtraining if you’re not careful. It’s best to have a 3-6 month lifting history behind you so you can be sure your body is ready for this stress load. For someone who has some training behind them, this type of workout can allow you to build muscle mass at an incredibly high pace provided you’re following a proper nutritional protocol with it as well. Similar to the 5 x 5, if you’re planning on doing a lot of additional activity with this program – sports training, cardio, or otherwise, you may run into some problems. Typically you will need to reduce everything else you’re doing so the body can have enough time to recover and progress … be sure you factor this in as well. The third type of volume training program that’s catching on rather rapidly is the FST-7 Training Program. This training program doesn’t specifically lay out all the exercises you need to perform in a given session nor does it specifically state that you must divide the body up into a certain protocol (upper body and lower body or chest/back, legs and shoulder for example), but rather gives you guidelines as to what you should be doing on the last exercise for each body part worked that session. The pros to this program beside the obvious (better fascia health) are that it still allows for a great deal of flexibility on your part with overall structural design. Potentially the one con you may see with this approach is, if you struggle with recovery, you may not be able to work out as frequently as you’re accustomed after performing this protocol. After time you will likely find that your body adapts, so try not to abandon the program too quickly if this is in fact what you find. Moving on, the fourth type of workout to think about is an upper/lower body split. This set-up is typically performed on a two on, one off schedule and allows you to hit each muscle group twice per week. The pro to this type of workout program is that it is a good option for beginners weight lifters looking to build mass. Since it still allows enough rest over the entire week and breaks the body up so each workout is slightly less stressful, it’s a good place to start. Because this type of bodybuilding program is so versatile, there really aren’t a great deal of cons with it. You can change it around a great deal to meet whatever your individual needs are, making sure you get what you’re looking for from your workout program. Lastly we come to full-body workouts. The 5 x 5 program could also be considered a full-body workout program to a degree, since you work almost all the major muscle groups with the three exercises you choose. But, true full-body programs will provide one direct exercise for each muscle group – quads, hamstrings, chest, back and shoulders (arms are worked when doing chest and back). One big pro of this program is again that it can be appropriate for a beginner, provided they use a lower total set number for each exercise and watch the volume. One main con of the full-body workout program is that it’s not as good if you’re looking to specialize in a certain body part since you have to perform some exercises for each body part in the same session. Keep these four different types of workouts in mind as you make the decision which will be the best bodybuilding workout program for you. Keep in mind that you can and should switch programs after so long to keep experiencing results and avoid a plateau so don’t think that once you choose one program, it’s written in stone that’s the workout program you have to follow for a long period of time. A guy with 14-inch arms will sometimes ask me about a mass building program, but worry to death about his “six pack” (meth addicts have six packs, for the record), his cardio, his “game,” and about five other things. Once you get 16-18 inch arms, I’ll allow you to worry about all those other things. You have to find ways to load your body and move the weights for up to several minutes without releasing the load (putting the bar down or resting on a machine). This program is going to be based on this insight. You are now going to stop worrying about every calorie as if you were a college cheerleader. On a mass-gaining program, you must eat. When I put on forty pounds in four months my freshman year in college, I used to eat some sandwiches before dinner so “I wouldn’t be so hungry during dinner.” Think Shark Week when you sit down to eat and warn the others at the table not to reach across your plate. Likewise, peri-workout nutrition is imperative. I know there’s this urge to do this and that and this after every workout, but for a mass building program, you have to accept that cardio consists of changing channels with the remote. If you don’t sleep eight-plus hours a night, it’s going to impact your mass gains. Many famous bodybuilders have advocated the “muscle nap,” a long nap in the afternoon to simply gain muscle. Remember, you grow while you rest. Pick-up basketball games are not rest! Well, let’s put it this way: Good bulking programs have few movements. When I had my most success with mass building, the number of movements I use is always around seven or eight, total. Learn to love them. Although people have gained amazing mass on lower reps (1-5), the load needed to gain mass on a low-rep program is difficult for most people (and mortals). So, until you can handle a 400-pound bench, a 500-pound squat, and a 600-pound deadlift, you’re going to need reps to bulk up. There’s something magical about mass gains around the 5-10 rep range and the last century of strength enthusiasts will bear this out, too. There are people that can ignore this advice (powerlifters mainly), but for the bulk of the population this is wise advice. Each and every time you load up the bar on your back, get ten reps in. It gives you your needed time under load and it seems to stimulate the whole body, along with the appetite! Few beginners know the answer to the question, “How long do you rest between sets?” The correct answer is, “It depends.” An advanced lifter might take a year to recover from a record lift while a new lifter is recharged and ready to go literally seconds after doing a machine movement. For mass building, think “around” three minutes for the squat and bench and 90 seconds for the other movements. Again, your mileage may vary. In nonlifter’s terms, always finish a set knowing you could have done a few more reps. We all love the images from Pumping Iron with all the forced reps, but for most guys who need mass, well, you just aren’t there yet. It’s better to get an additional set or two than it is to roast on exercise. This is definitely old school advice, but “save yourself” on a building program. Wear extra clothes so your body doesn’t have to use resources to stay warm. Park closer. Find shorter routes to everything. Sit more. Remember, this isn’t a lifetime plan but a short, focused, fiery attempt to gain mass.